Cannabis plants are being set ablaze, and not in a good way. The wildfire took hold on September 26th, and the current drought hasn’t helped the situation. The Loma Fire has rampaged over thousands of acres in California’s Santa Cruz Mountains. The area is lined with both legal and black market cannabis operations, putting homes, gardens, and livelihoods at risk. 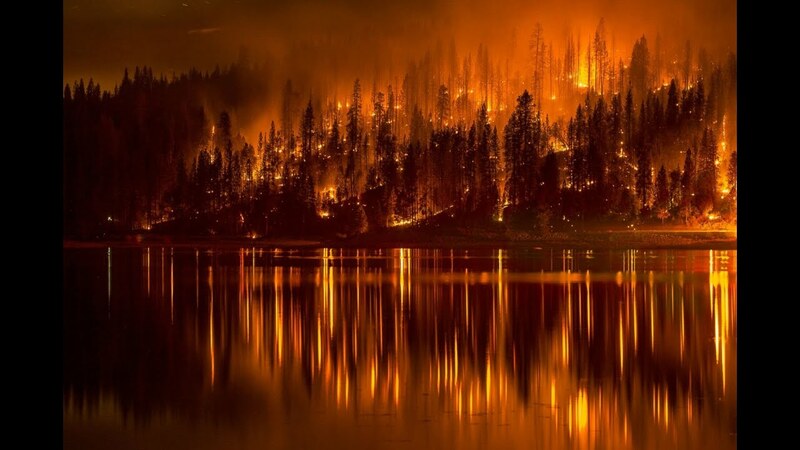 Here’s the scoop on the massive Californian wildfire that is threatening countless cannabis crops. Cannabis plants are being set ablaze, and not in a good way. Residents and cultivators of the Santa Cruz Mountains have been concerned for their homes and their livelihoods for the past week. The wildfire took over the area on September 26th, and the current drought certainly has not helped the situation. 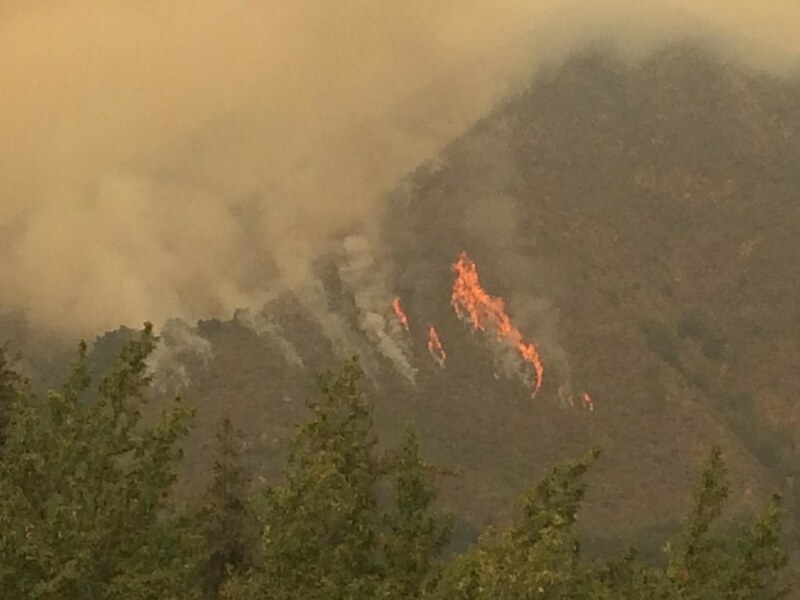 The fire has already burned over 4,500 acres of land. Over 300 people have been evacuated from their residence and forced to leave their crops behind. The region is lined with cannabis operations, though it is difficult to get a precise count on the number of plants threatened or destroyed. While the majority of cannabis grows are located in Northern California, many cultivators prop up shop in forested pockets throughout the state. South of San Francisco, the Santa Cruz Mountains make for a discrete growing location. Cannabis crops are not cheap or easy to replace. The now-termed Loma Fire can quickly whip away months of work and potentially hundreds of thousands of dollars. Though over 1000 firefighters are trying to control the flames, a dozen homes, and 16 structures have been burned down. The threat of losing an entire crop has led one grower, Anthony Lopez, to return home. Though the area is under an evacuation order, ensuring that his plants are A-OK was worth the risk. The Associated Press reports that Lopez was pleased to find that dozens of his cannabis plants were safe and sound. The Loma Fire isn’t the first wildfire to threaten cannabis crops this year. In July, firefighters rescued seven cannabis farmers who were trapped by the Soberanes Fire of Monterey County. While Anthony Lopez may have lucked out on his few dozen plants, those who got stuck in the Soberanes weren’t so lucky. Their entire 900 plant operation was destroyed. Though their one million dollar operation was up in smoke, there, fortunately, was no evidence left to prosecute the farmers for their massive illegal grow. Other cannabis farmers have had their crops coated in flame-retardant, rendering everything unusable. As of Monday afternoon, the Loma Fire was 85% contained. The evacuation orders have been lifted for some residents, yet those close to the Loma Prieta ridgeline have yet to return home. 47 fire engines, three helicopters, eight bulldozers, and 15 water tenders were all used to fight the fire. But, California residents have the recent cool weather to thank for the major breakthrough with the flames. The sudden shift in Mother Nature was a great help to the firefighters, who have been battling the flames for nearly a week. While some cannabis crops were certainly destroyed, several families lost their homes and dozens more now must face the aftermath of the catastrophe. For farmers in the region, any lost crops will now be very difficult to replace. Do you know anyone affected by the fire? Share with us on Facebook, Twitter, or in the comments below. We’d love to hear from you!